Pakistan was reviewed for the first time by the UN Human Rights Committee on 11 and 12 July. We spoke to the Secretary General of the Pakistan Press Foundation (PPF) and the Campaigns and Advocacy Coordinator at IFEX about the examination in regard to freedom of expression issues in the country. As Lala Hassan and his colleague Fouzia Sultana, the sister of a murdered journalist who is working with PPF to seek justice for her brother, were denied their visa to attend the Human Rights Committee session themselves, their intervention at the session was presented by Matthew Redding, the Advocacy and Campaigns Coordinator at IFEX. Panorama spoke with Owais Aslam Ali, the Secretary General of PPF, and Mr. Redding to discuss their thoughts on the Committee’s examination of Pakistan. 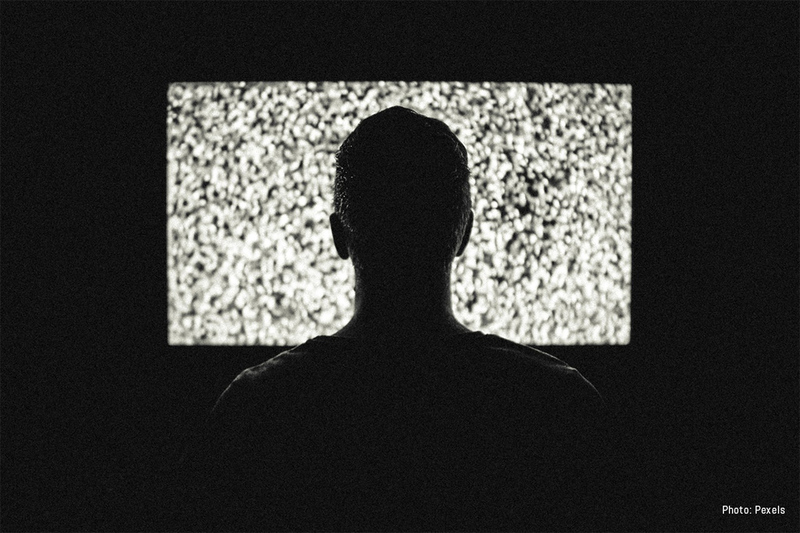 Additionally, Matthew Redding noted that these limitations on freedom of expression have resulted in a citizenry that is deprived of important information. This invalidates the Government’s claims throughout the examination that important decisions, such as the lifting of the moratorium on the death penalty in 2014, are made with the support of an informed citizenry. Matthew Redding: My general perception is that there seemed to be some steps towards progress in the form of limited legislation and some oversight bodies but it seems that in most cases real implementation and enforcement is lacking and that a lot of times, these same laws, that are being touted to show that Pakistan is respecting its obligations under international law, are being used to restrict freedoms. The State seemed in many cases reluctant to even acknowledge there was a problem. Even when presented with very credible information from the experts, particularly with regards to threats against journalists and the violence that they faced, they seemed to pin this almost entirely on terrorists rather than accepting any sort of State responsibility for these attacks. This in a sense almost absolves them of a certain degree of responsibility for these attacks, so I think we saw quite a bit of evasion as well. Owais Aslam Ali: I endorse all the points that Mr. Redding made. Another thing that I was disappointed in was that although it was a high-powered delegation, they did not do anything but restate what their points were. They did not move anything forward in answering specific points and specific cases or questions that were asked to them related to freedom of expression. They again dealt with generalities and restated their positions. Did the experts take your specific report into account in their questioning of the State? MR: Yes, I’d say we were quite happy with the manner in which they took that on. At least one of the experts raised pretty much each and every one of our major concerns brought up in our submission. Not only that, they cited many of our figures with regards to attacks against journalists, and we were quite satisfied to see that. What expectations do you have moving forward? What recommendations regarding freedom of expression are you expecting the Committee to include in its Concluding Observations? OAA: We are hoping that in the written responses the Government will be a little bit more forthcoming in answering the points and the same recommendations that we had in our reports would be addressed by them. Basically, that the Government would take the safety of journalists very seriously. 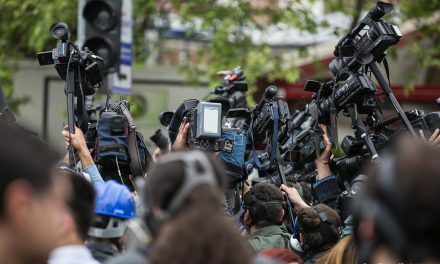 The point that the Government has made—that they have set up an endowment fund for journalists who are injured or those that are killed—that’s a welcome step, but that does not address the point of holding those who inflict violence on journalists to account. Unless you tackle the impunity, simply paying the victims is not going to end attacks on journalists. So that is point number one that they need to do. Considering the State’s reluctance to admit to the situation regarding freedom of expression in Pakistan, do you think that this was an effective way to get your message heard and understood at the international level? MR: I think absolutely. The fact that the State refused to acknowledge in many cases the fact that they have a problem with freedom of expression makes it all the more important that we bring these issues to the international level. Pakistan is quite sensitive to its international image, so to hear these questions being posed by members of the international community—questions that in many cases contradict the Government’s rather rosy picture of the situation in the country—I think that’s a very valuable strategy for us to pursue. OAA: It gives us an opportunity to meet with the delegation that was present in Geneva when they return to Pakistan to again stress on them the points. It gives us an opportunity to carry it forward. In addition to the fact that it is raised at the international level and we have the support of the Committee to the points that have been highlighted in our report and other points as well. Like Mr. Redding said, Pakistan is a country that is aware of the importance of its international image—they want to present the image of Pakistan as a democratic country. It is the vision of the people at least that we be a democratic country. International pressure is one of the most potent forms of pressure that can be put on the Government of Pakistan. We plan to bring the Concluding Observations to the notice of local stakeholders as well, including the representative association of publishers, editors, working journalists, and NGOs, so that they can be highlighted by these organizations and individuals. This was a very important opening for us, and we hope to continue it when this delegation returns to Pakistan. Do you plan to engage with any other UN mechanisms to progress freedom of expression in Pakistan? OAA: Absolutely. We plan to use them. We are relatively new to this, but this first step has been really encouraging, so we plan to use that and hopefully participate in the Universal Periodic Review (UPR) process as well. Then we move forward also for next year’s UNESCO Director General’s report. We plan to engage more with UNESCO as well as with the other international mechanisms which are available, but this is a first important step—and the second one will be the UPR process. MR: The only thing that I would add to the list of other UN mechanisms that we plan on engaging with would be the relevant UN special procedures because I believe they also play a crucial role in communicating with States many of the concerns that have been raised by civil society. And any communications that have been made and responses that have been received by the State also inform the UN mechanisms, or feed into other mechanisms such as the UPR, the Human Rights Council sessions, and various other parts of the system. Unfortunately, you couldn’t be here this week because the group that was hoping to come from PPF had their visas denied. Do you have any comments on that issue? OAA: You can understand the depth of our disappointment at not being able to be present at this very important session. And frankly, we are absolutely shocked at the fact that the Swiss Government chose to deny a visa that would have allowed us to present such an important human rights issue of freedom of expression, within the Human Rights Committee. We are totally flabbergasted as to why they chose to deny the visa on very incomprehensibly lame reasons that they had given. I’m just hoping that this did not represent some policy matter by the Swiss embassy to limit the voices of human rights organizations in the Committee and I hope that this is not going to be the case for the Human Rights Council in the UPR. 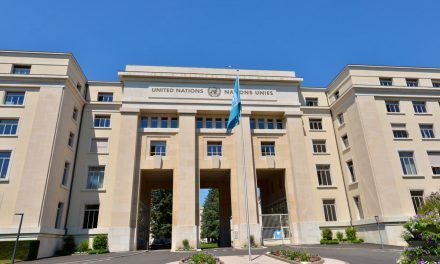 How did the different diplomatic missions react this week about the fact that PPF couldn’t be in Geneva due to the visa issues? MR: A number of them shared Mr. Ali’s and our shock and our frustration with the fact that this occurred. Apparently, it happens but it’s quite rare. 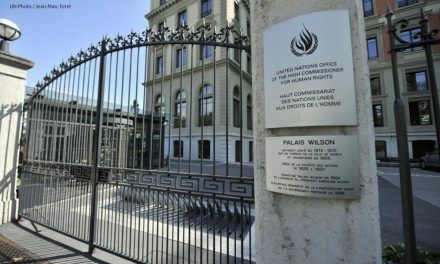 They made some recommendations to us to bring this situation to the attention of the Swiss diplomatic mission as well as the president of the HRC as an example, potentially, of political interference by the State of Pakistan to prevent human rights defenders from coming to Geneva to speak about the situation in the country. They were all quite supportive, they all expressed disappointment that they couldn’t speak with PPF directly, but then were also very eager to connect with them by other means. 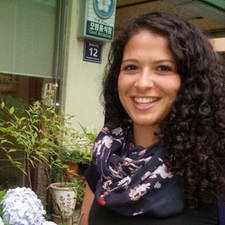 Brazilian-Canadian human rights activist with a degree in Political Sciences from the University of Ottawa in Canada and a Master in International Human Rights and Humanitarian Law from the University of Essex, U.K.